The world's oldest and best-preserved sperm, dating back 17 million years, has been unearthed in Australia, scientists said last week. The sperm from an ancient species of tiny shrimp, was discovered at the Riversleigh World Heritage Fossil Site, an area in the far north of Queensland where many extraordinary prehistoric Australian animals have previously been found (including giant, toothed platypuses and flesh-eating kangaroos). The sperm are thought to have been longer than the male's entire body, but were tightly coiled up inside the sexual organs of the fossilised freshwater crustaceans, known as ostracods. "The discovery of fossil sperm, complete with sperm nuclei, was totally unexpected. It now makes us wonder what other types of extraordinary preservation await discovery in these deposits" Mike Archer, from the University of New South Wales School of Biological, Earth and Environmental Sciences, who has been excavating at Riversleigh for 35 years. A research team led by Archer collected the fossils in 1988 and sent them to a researcher in Melbourne, who realised they contained fossilised soft tissues. 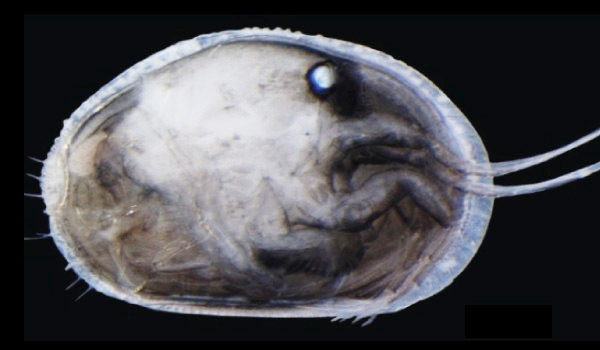 A microscopic study revealed the fossils contained the preserved internal organs of the ostracods, including their sexual organs. Within these were the almost perfectly preserved giant sperm cells, and within them, the nuclei that once contained the animals' chromosomes and DNA.